One of the best compliments a wedding photographer gets is being asked to document other parts of a couples’ life. 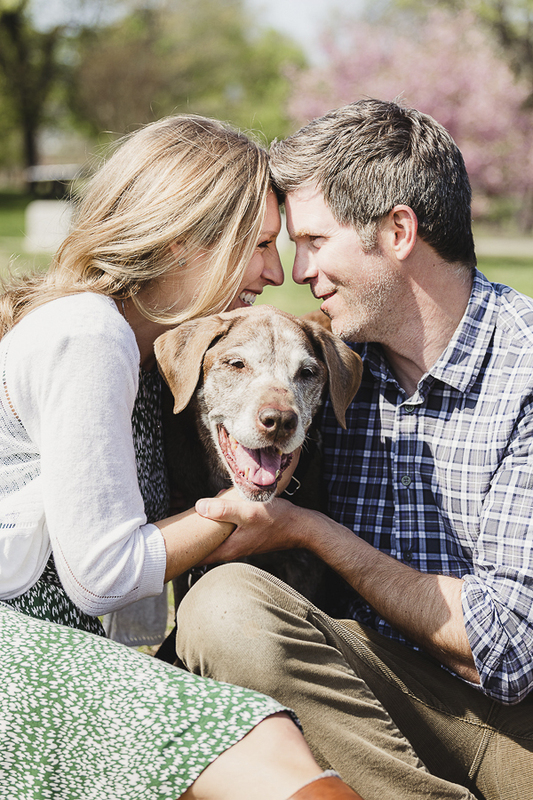 Naomi from Urban Row Photography photographed this heartwarming session of a former bride and groom with their senior dog. 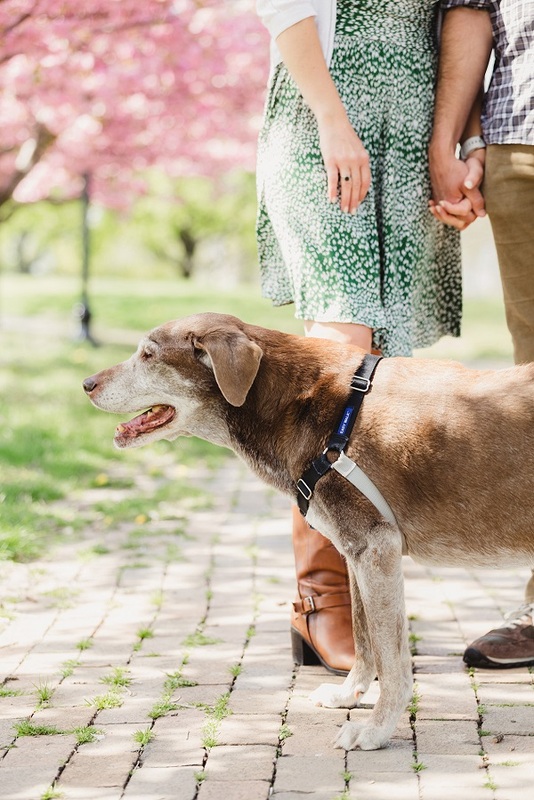 Missy is a 14 year-0ld Chocolate Lab mix who proves that good things come to those who wait! From Melissa: “When I lived in Murrells Inlet, the shelter had a store front next to the movie theater in the mall. I saw her a few times before going to see movies. And I felt so bad because she was one of the adult dogs and had been there for a while. The other younger dogs and puppies were getting adopted, but she was always there. The story posted on her kennel stated that her owner passed away and his wife couldn’t care for her – I think they were in their 80’s. The daughter of the couple tried to take her but ultimately it didn’t work out. The daughter took her to the vet to be boarded and never came back to pick Missy up. She lived at the vet in a crate for six months until they gave her to the WARM Shelter. Missy spent another six months with WARM and a lot of time in a crate at the mall. I read her story several times but I had an American Bull Dog, Jackson, and I knew he wouldn’t take well to another dog in the house. I visited her every time I went to see a movie and felt bad because she was always sitting quietly gnawing on a bone surrounded by a bunch of yapping puppies and barking dogs. 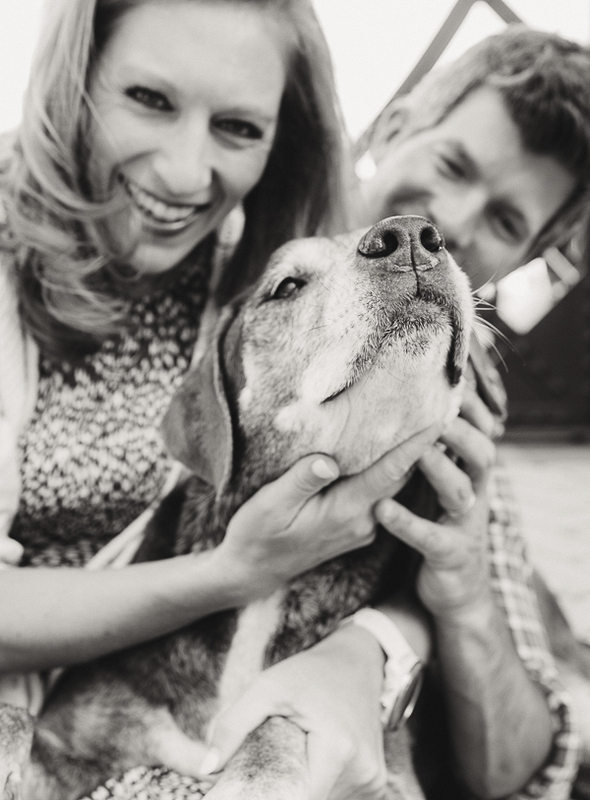 Sadly Jackson, who was only 7, fell ill very quickly and passed away from an aggressive cancer. He was completely fine one day and five days later – he was gone. 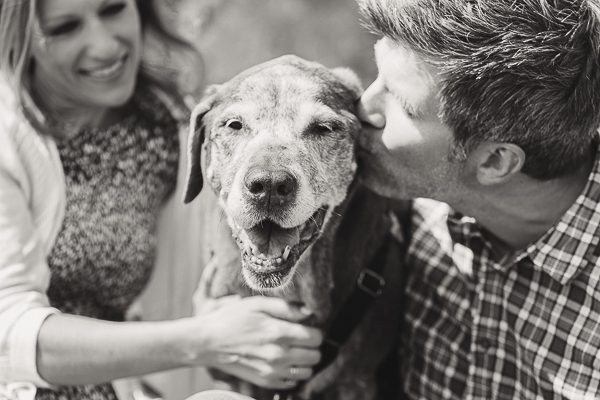 I sat in a chair for three days and cried – he was absolutely my best friend in the world. 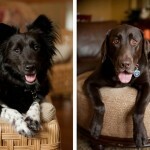 It took a couple of months, but eventually, I started entertaining the idea of getting another dog. But I was still so sad – I couldn’t replace him. 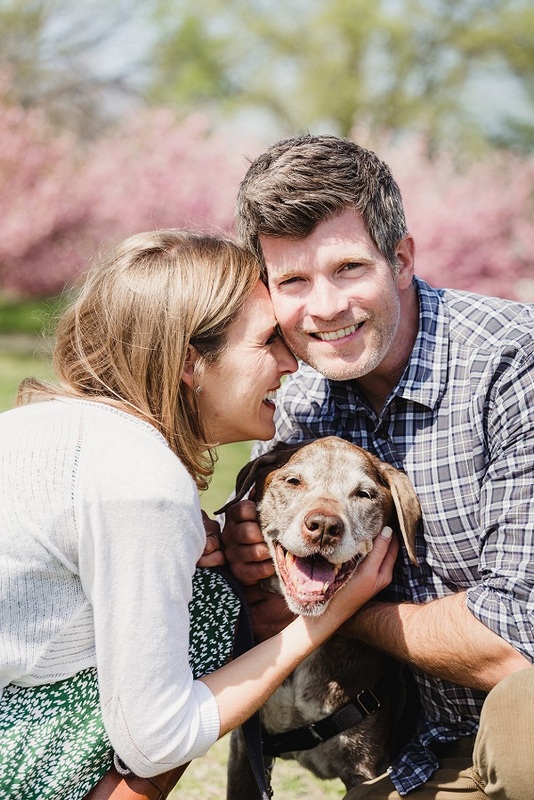 To make a long story short (or a long story longer) – my ex-husband showed up at my office one day with a puppy. I was completely surprised and not ready yet – but who gives a puppy back!?!? 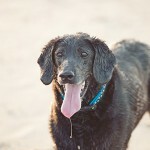 While I loved the puppy, I was still heartbroken and missed the adult companionship of an older dog. And the puppy…talk about a tiny wrecking ball! He chewed EVERYTHING. He broke out of his crate. Very cute…but not exactly best friend material! So one day, I had a rough day at work and knew I would go home to the sweet but destructive baby… and I was looking for some comfort. I drove past the movie theater and, on a whim, pulled in and asked to walk Missy. It only took one lap around the parking lot to discover she was exactly what I needed to try to fill that hole in my heart. When Naomi photographed Melissa’s and Jim’s wedding, and Missy was there as well! Follow Urban Row Photography on Instagram. 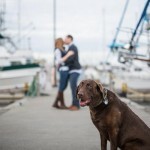 About Urban Row Photography: Based in Baltimore, Maryland, Naomi specializes in wedding photography. OMD! 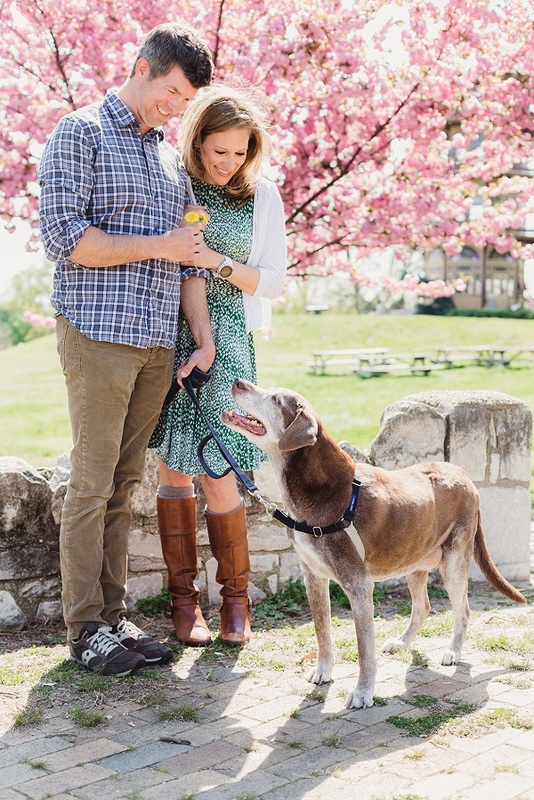 That is the best adoption story I have ever heard. And the photos were amazing! 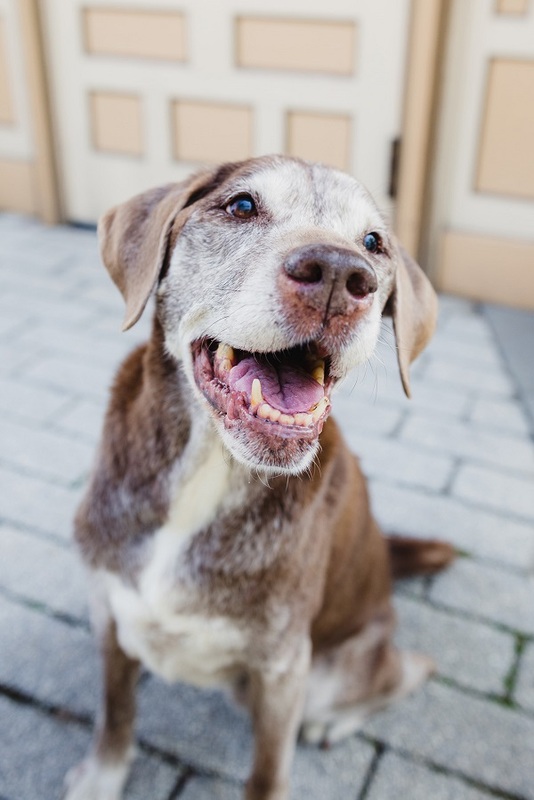 Missy is one beautiful senior! Thank you for sharing her story and photos. Missy’s just gorgeous and I’m so pleased she found her loving forever home with you. So beautifully written and photographed. Thank you for making me cry tears of happiness today. You are both so lucky to have found each other. What a beautiful story! Puppies are cute and hard to resist, but they can be a handful! It’s true when people say that it was them not the dog that was rescued. Congratulations Missy on finding your forever home. Beautiful photos and beautiful story. 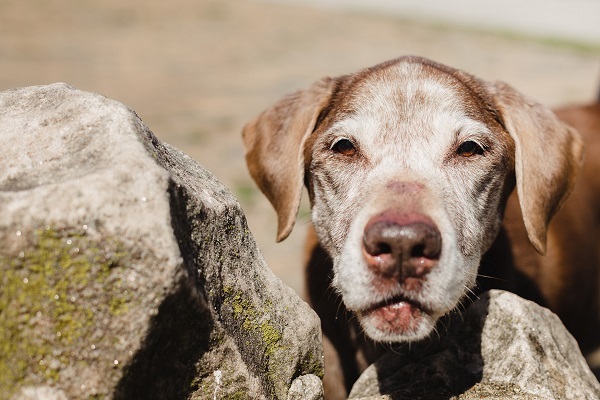 I love hearing about the older dogs finding homes. Sadly, there are too many in need. Thank you for this happy ever after tale! Just incredible. 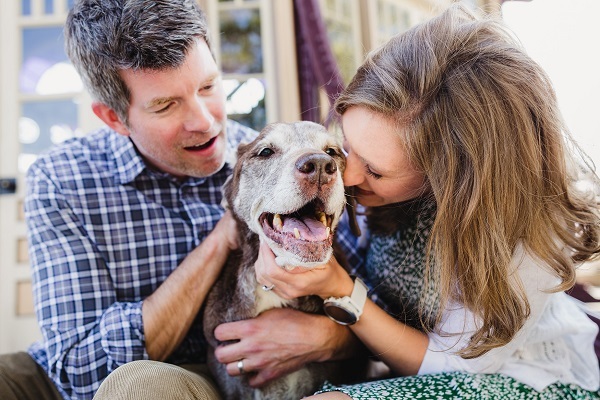 I love senior dogs and this photographer really captured her. What great memories for the family. Oh my gosh! Look at that sweet elderly face!!! Oh man, I need tissues now! Missy is so beautiful, & clearly very special. Missy was fate, I’m sure of it. Beautiful story, gorgeous photos. Thank you for touching my heart today! 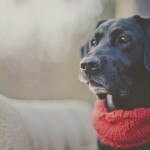 I absolutely love the pictures of Missy! 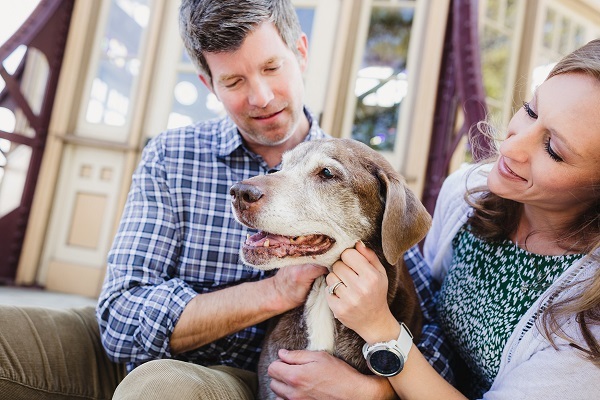 Senior dogs have a special place in my heart, seeing her smile made me so very happy! These are wonderful photos. My favorite is Missy and her incredible smile! So full of life!